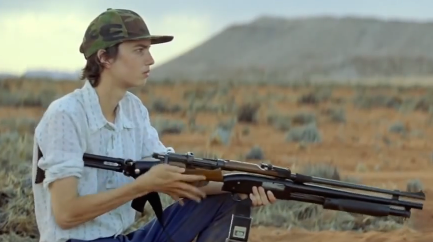 Young ones is a Western in the greatest sense of sci-fi. 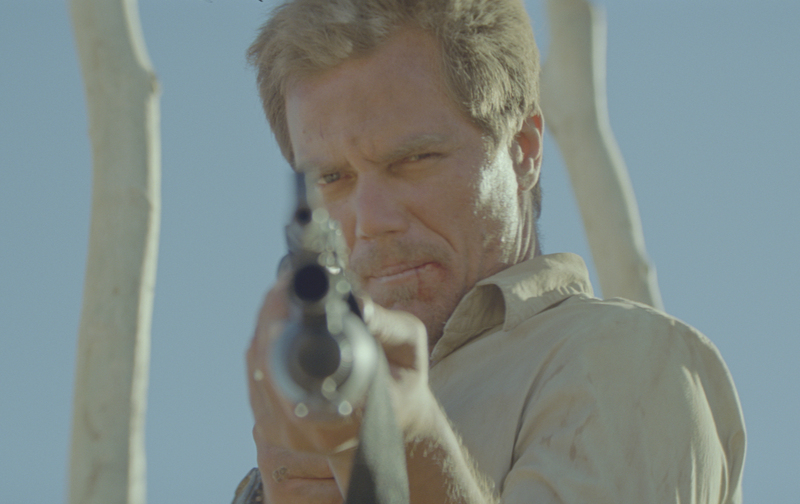 To boiling down the plot, it’s a tale of a son’s revenge where the offending event happens 40 minutes in, once the viewer is adjusted to their surroundings. Set in a future where once fertile farmland is now a desert, and where it’s perfectly normal to wash your dishes with dust. 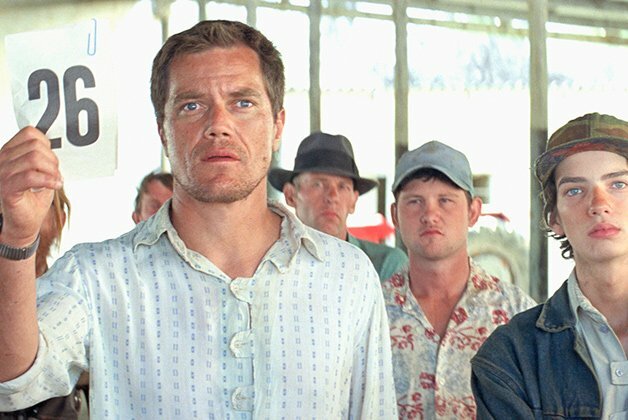 Ernest Holm (strongly played by Michael Shannon) is a father with an unknown past who is doing the best he can for his family. His daughter named Mary (played by the quietly better Fanning sister Elle) questions everything about what’s happening instead of adapting. His son named Jerome (played incredibly well by Kodi Smit-McPhee) looks to his father for direction, but still covers his bedroom walls with sketches of birds in flight, critters seen around the homestead, and the mysterious woman his father had seen on a weekly supply run the city. Oh, I forgot to mention, Jerome watches EVERYTHING. Ernest has the critical job of making moonshine for the workers constructing a water pipeline, and controlling it’s supply of water to the local farmers. After a supply run to the water men, the family’s pack mule is crippled and so the family buys a second hand robotic mule, even though the auctioneer’s son, Flem (played angelically & devilishly by Nicholas Hoult), has designs on steeling Ernest’s supply contract, and his daughter. Thus the central conflict starts to ferment between the generations, old and young. It might be because I’m in my mid-30’s with a young family, but I related most to Ernest and felt his longing for the young to just wait for it and quit insisting on their brighter tomorrow right now. Once things start getting better, the younger generation’s sins eventually lead to mortal consequences, Jerome discovers what REALLY happened to ‘dear old dad’, and the film climaxes in retribution for the betrayal of the first act. Overall, Young Ones is one of those movies that is just as much about the details built into it from a wide plethora of Western and sci-fi influences than it is about the primary story along with a good measure of other details that help enrich and explain the world of the film. When I first heard about the Lost Weekend III line-up, Young Ones was a film I was immediately interested in, and at the same time a hopeful & apprehensive that it would be as good as expected. I’m happy to report that it was as good, if not better. It’s one that I would instantly recommend for both a Western & sci-fi film. Now I realize that I’ve only talked about the first act, and that’s for good reason. So much of the appeal about this film is in how the story unfolds and runs its course in a world that feels lived-in. It really is a Western plot with futuristic elements which heighten and expose the conflict that would otherwise have been a hidden mystery. Young Ones is also the kind of film that is incredibly smart in its use of budget and special effects. So much if the film is economical, from simple music and orchestration to the principal cast made up of experienced actors and actresses, but only one big name. Even though it is still one of my favorite Film Club screenings, there were pockets of the film I had forgotten and got to relive again. So good. 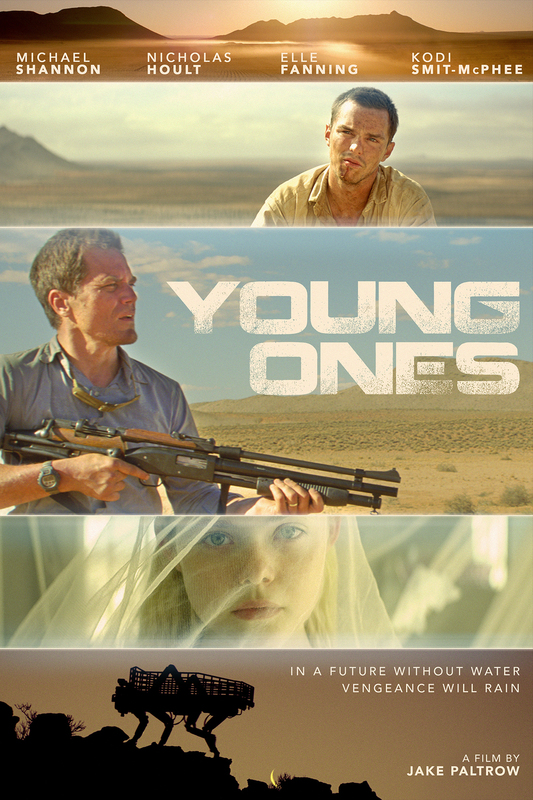 Bottom line, is it worth hunting down a copy of Young Ones and see this modernized western?? Yes, without reservation. 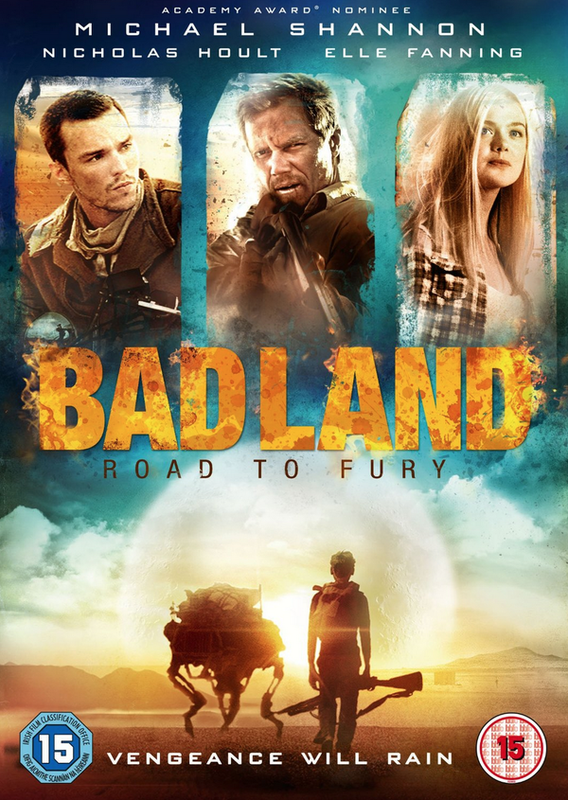 As a funny aside, when Mad Max: Fury Road was killing at the box office and garnering so much attention, Young One’s distributor tried to get more viewers by re-titling and re-branding the film as Badlands: Road to Fury. I’m fine with it, because it’s just changing the title, and wasn’t made strickly as a cash grab like it seems most films from The Asylum. When he’s not driving to work, has his hands in his car and/or house, or is attending Film Club events as an #Awesome13, #Sweet16, and #Terrific20 alum, Benjamin can be found listening to podcasts and hoping to start his own one day. Reformed Trekker; self-identified Anglophile; and Anime fan by way of Akira, Ghibli, & Gundam. You can find him on the Film Club Facebook page asking for more ‘classics’ as well as right here planning his next meta review. My entry into the world of Anime came with three horns. Akira, Ghost in the Shell, and Mononoke (at least as far as full-length Anime goes. When it came to serialized Anime it was all Gundam). 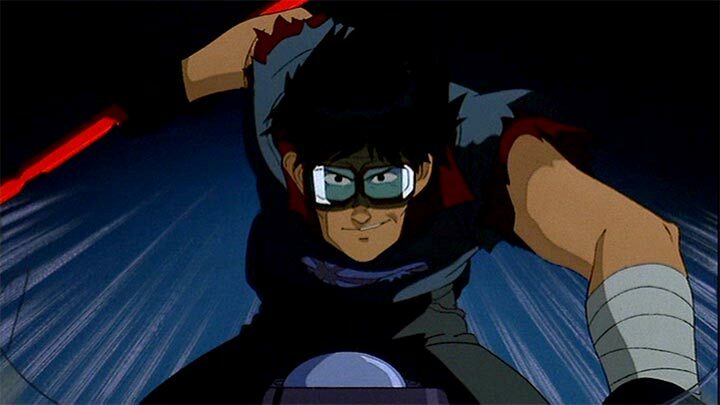 Although I missed the first wave of Anime that was traded around via VHS in the 80’s or the kiddie & teen toons of Pokémon or DragonballZ, I think Akira was a perfect first entry into the world of “holly cow not much of that made sense, but I kind of know what was going on,no wait I had no idea” that is Anime. So, what is Akira all about? 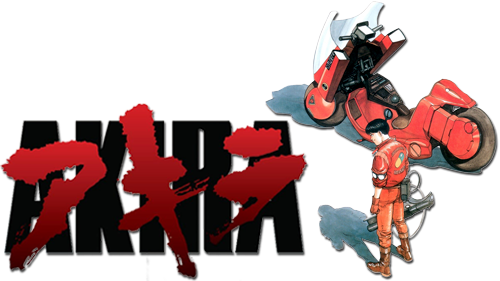 To me Akira is the story of a pair of teens (Kaneda & Tetsuo) who come in contact with an escaped child with special abilities that triggers a reaction spelling doom for all the inhabitants of Neo Tokyo unless the military can stop him, led by the the gruff Colonel Shikishima, or unless the mysterious Akira returns and then no-one will care about the raging Tetsuo. Along the way there’s a revolution against the aggressive and dictatorial military, road battles on speeding motorcycles with a rival gang of clown bikers, and the unspoken preparation of the Olympics to get Neo Tokyo back on the world stage. Recently, and thanks to Andy and the Alamo, I got to see a screening of Akira on the big screen. It was the recent Blu-Ray release which by the way is stunning. The backgrounds are magnificently blended and detailed, while foreground characters are colorful and vibrant. And whenever there’s blood it’s practically fluorescent, even shockingly so. Anyway, since I knew I was doing this review I did a pre-review of the film to pick out any questions or unexplained plot points that might not make sense to first-time viewers. Hopefully this review/primer will help clear up some questions you might have. I’ll try to keep it brief, of course, bout you know my other reviews. 🙂 While there are numerous resources online that fully explain everything with all source material in mind, I prefer to explain things based on what’s actually in the Anime itself with some interpretation after multiple viewings. As in other Anime, Akira has source material from different media platforms but they don’t necessarily share the same universe. As each medium is developed the production constraints change the details of a story, although the broad strokes remain the same. My descriptions may divert slightly to emphasize things that were completely left out of the Anime (and so make slightly less sense). Kaneda – leader of a bike gang. Grew up with Tetsuo, but always treated him as a younger broth and someone who couldn’t protect himself or those he cared about. Tetsuo – gains powers by accident. Wants to be like Kaneda and resents Kaneda for holding him back. 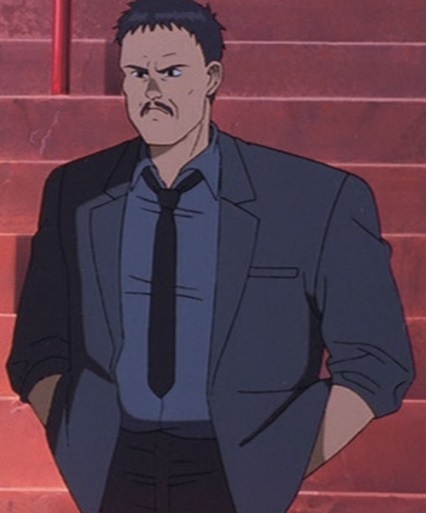 Colonel Shikishima – pretty much leads the military in Neo Tokyo and runs security for the Akira project. Serves as liaison to Neo Tokyo’s supreme ruling council. Ends up pulling off a coup and institutes martial law when Tetsuo becomes uncontrollable. Kiyoko, Masaru, Takashi – More on them later in the questions. They’re three guinea pigs of Doctor Onishi who try and use their abilities for good. Akira – The character whom everyone knows, but is scared to talk about. Akira started all this trouble in 1988. Will he awaken, will he be a force for good, or will he be feral like Tetsuo in the use of his abilities? Kei – A cute revolutionary that gets mixed up in all this craziness. It appears that the rebels played a hand in Takashi’s escape and later the fall of the supreme council. 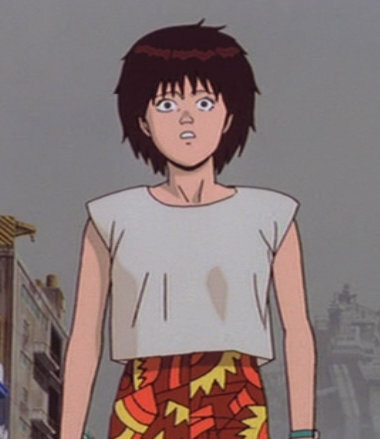 She seems to have some low level connection to the Power and it’s inferred that she might be the next Akira. Ryu – leader of the rebels, or at least Kai’s cell of the revolution. One of my favorite characters in the film, but sadly never makes it past seeing his efforts birth the revolution he’s been working towards. 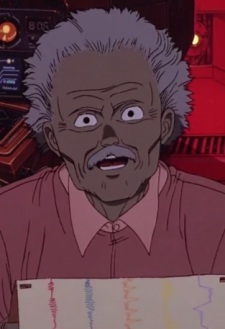 Doctor Onishi – Scientist who’s bee studying the children, Akira, and theorizing for 30 years about what the Power is and how he could use it or manipulate others into using it. Kaori – Tetsuo’s girlfriend. She’s there in a way to connect his initial escape from the hospital into a reason for his first hallucinations as well as act like a surrogate for the audience to witness the revolution on the street as Tetsuo approaches the Olymic stadium, and later she acts as a mouthpiece for humanity as Tetsuo is loosing his connection to to others. Kai – member of Kaneda’s gang. I like to think of him as third in command. 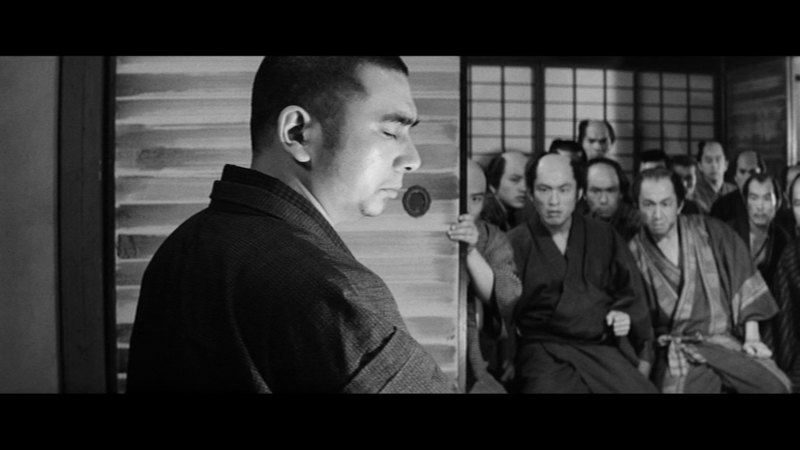 He’s there at key scenes and is the witness for Tetsuo’s murder of Yamagate. Yamagate – member of Kaneda’s gang. While featured in some of the bike/street fights between Kaneda’s gang and the clown gang, Yamagate’s biggest contribution ends up being as a corpse. 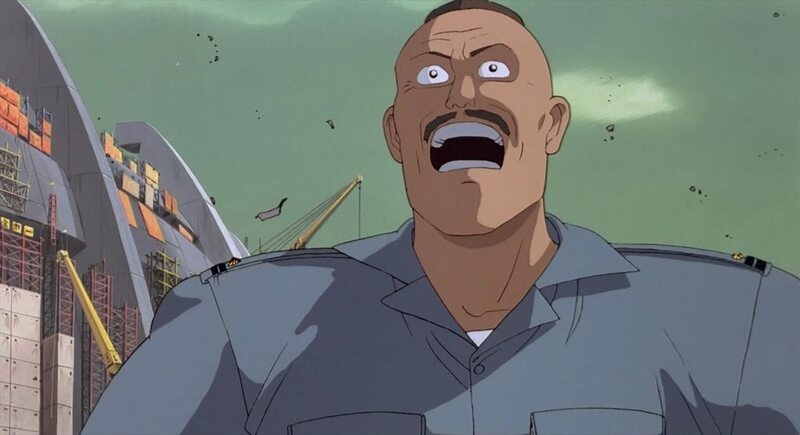 His death at the hands of Tetsuo is the turning point between Kaneda’s insistence that Tetsuo must be stopped, but rehabilitated into he must die. In the manga, Yamagate’s death is on screen/panel and much more climactic to the story. After his death there’s no question if Tetsuo is acting of his own free will. Lady Miyako – although the character is always listed as a lady, every time I watch the film this character comes off as a guy. Maybe it’s the voice. In the manga Miyako is most definitely a she who tutors Kei about her role in this struggle between Tetsuo and the world. In the Anime, Miyako is a simple figurehead for the religious movement who see Akira as a savior. Nezu – member of the supreme council. By association, it’s revealed that he’s working with the rebels as a means to his own end, but is thwarted by his own greed. Q: So what happened in 1988? A: Akira happened. As the Anime opens the audience witnesses the first Akira event when Akira first gains control over what I like to call the Power. Tokyo is vaporized and in the 30 years afterward Neo Tokyo is built near it’s crater. Q: What’s with these street gangs? A: As a recurring theme in Anime and other urban Asian cinema, in Akira the older generations exist in an uneasy cultural struggle between their own generation and those in their teens and younger. 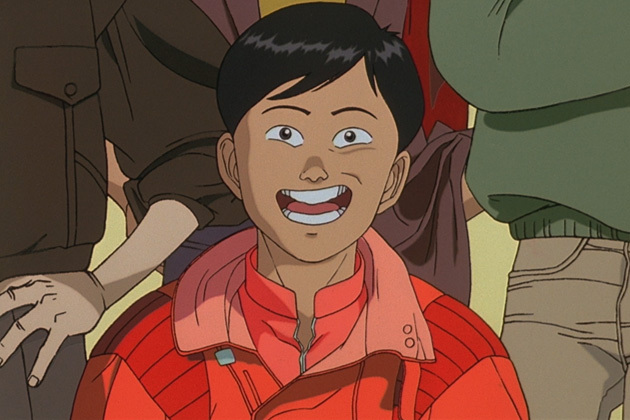 With more children growing up without parents as a result of the Akira event, they raised themselves and developed their own territorial groups or gangs. Kaneda leads one of those groups and the clown gang leader. Q: What’s with the ash-gray kids with numbers tattooed on their hands? A: The three ashen or blue-skinned kids are explained somewhat later in the film, but there’s still some details that may be missed. Kiyoko, the girl is telepathic as well as clairvoyant; Masaru, the one in a floating chair appears to be the oldest of the three and as such is more protective; and Takashi who’s encounter with Tetsuo trigger’s Tetsuo’s own connection to the Power. All three have some level of telepathic powers as well as the ability to transport themselves as well as other people. They aren’t working for the military as much as they’re not in control of their powers enough to leave and not be found and recaptured. Q: Are Kaneda and Tetsuo brothers? A: Although there is some sibling rivalry going on it’s a result of the societal dynamic mentioned above. They are not brothers, I repeat they are NOT brothers. Late in the film, their relationship is better explored as well as when they first meet. Q: What’s with Tetsuo’s hallucinations? A: For this one I’m going to answer with each occurrence. After beating the clown biker for abusing his girlfriend Kaori, Tetsuo’s visions are a result of the hospital’s drugs wearing off. Based on later revelations about his personal history his hallucinations I think are related to things falling apart both his body and possibly his mother in memory. His next hallucinations in the hospital with the teddy bear, toy car, and other toys along with all that milk are more an attempt by Kiyoko, Masaru, and Takashi to scare Tetsuo into madness and away from using his connection to the Power. Later on, when he finds the trio’s play room those are more directly and obviously a last ditch attempt by Masaru and Takashi to scare Tetsuo and keep him from hurting Kiyoko. Q: Why the coats and super-cold temps when Colonel Shikishima goes to check on Akira? from objects is by kinetic energy. 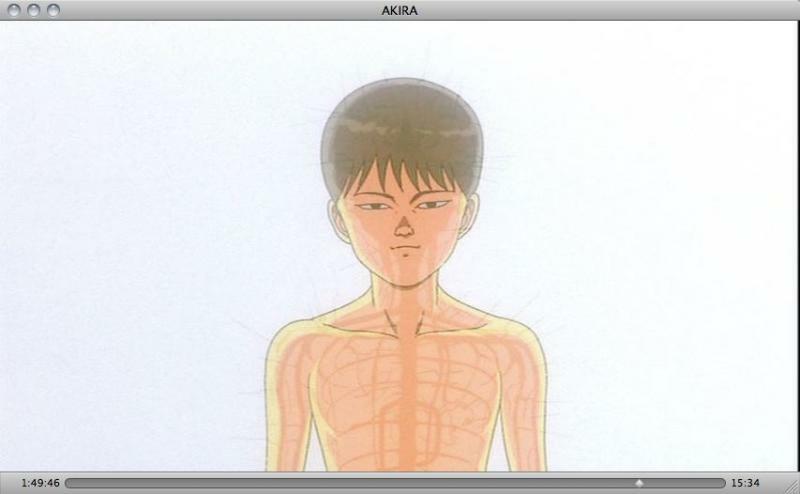 As Kai explains to Kaneda in their holding cell, the Power exists down to the molecular and/or atomic level. When molecules are active they product heat and the colder any object is, the slower it’s molecules move, and in Akira’s case the less likely he is to have contact or control of the Power. Q: Is Kaneda or Kai special like Tetsuo and the trio? A: While Kaneda does get tossed around and at times seems to heal from or survive things that aren’t possible, I don’t think he’s sensitive to the Power. Kai though has to have at lease some sensitivity since Kiyoko is able to possess Kai and she does teleport away with Takashi and later is able to stand up to Tetsuo directly. Q: So, what really happened at the end? A: Well, here’s what I think happened. Tetsuo lost his arm when the Colonel sic’ed his space laser on Tetsuo. Using the Power Tetsuo saved Kaneda (although partially out of unintended self-defense. 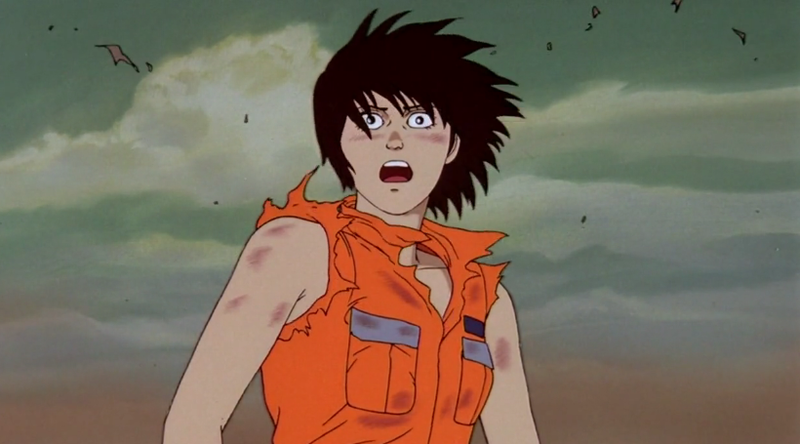 After healing himself with to have a robot arm, Tetsuo lost more control after the Colonel shot him at the Olympic stadium which is when he lost control and ended up begging Kaneda to help him save Kaori (whom I’m pretty sure was horribly liquefied on-screen) and later from the second Akira wave. 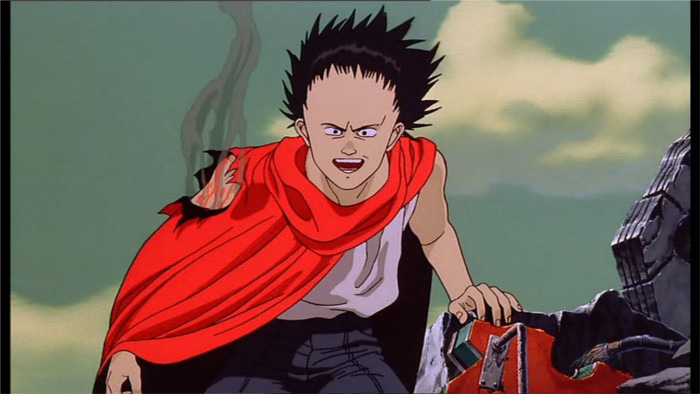 Once the vials of Akira’s nerve’s were shattered, then Akira regained his connection to the Power, reformed his body, and uses the Power to it’s fullest to create another universe and take the trio and Tetsuo with him (similar to the Monolith/Dave Bowman) situation of 2001, 2010, and subsequent books (2063 & 3001). 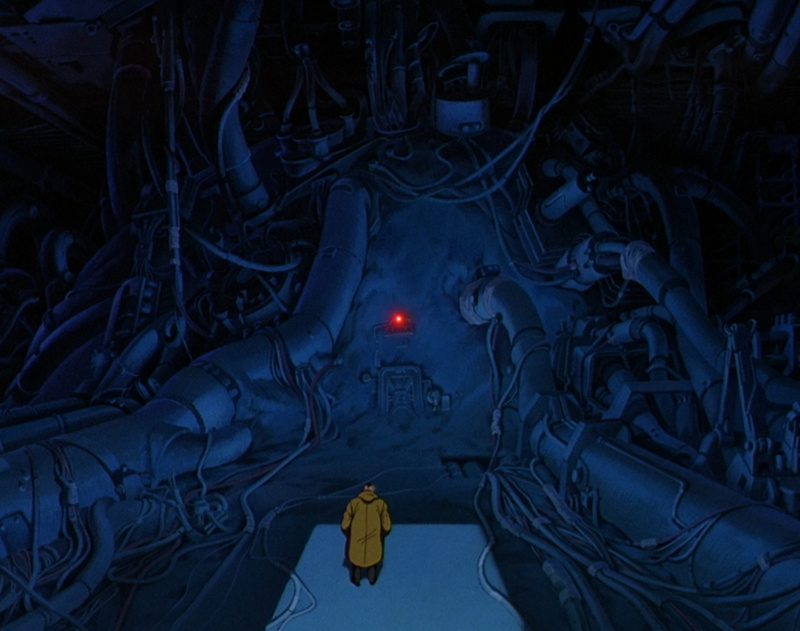 Of course subsequent viewings of Akira invariably bring out more answers and more questions as you focus on different dialogue (or when seeing it on the big screen, more visual detail). Of course, dubbed is preferable to subbed. 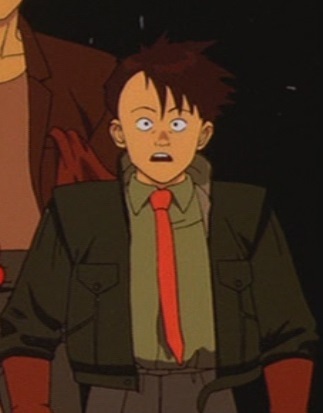 In years past the Alamo had screened a dubbed version of Akira and both Kaneda and Tetsuo become whiny kids, which I guess they are, but it was harder to pay attention to. Anyway, looking ahead to May there doesn’t seem to be any upcoming Anime or related screenings. If some pop up, I will post about them in the Film Club 3.0 Facebook group. Darn Captain America. Curse you Marvel !! When he’s not driving to work, has his hands in his car and/or house, or is attending Film Club events as an #Awesome13, #Sweet16 alum, and #Terrific20, Benjamin can be found listening to podcasts and hoping to start his own one day. Reformed Trekker; self-identified Anglophile; and Anime fan by way of Akira, Ghibli, & Gundam. You can find him on the Film Club Facebook page asking for more ‘classics’ as well as right here planning his next meta review. On November 25, 1976, one of the greatest concerts ever was held to celebrate a group of musicians who had been touring together for 16 years. Similarly, on March 6, 2016 friends, family, and acquaintances of fellow Film Club member Charlie Fish gathered to celebrate her birthday and the group’s 193rd screening. Fresh off a marathon of films just a week before, some of us might have felt that we’d watched enough films for 16 years so a celebration of such an achievement was in order. What an afternoon with plenty of laughs, cheering, applause (for an event nearly 40 years past), and so much singing along. Even after the ‘no-talking-no-texting’ warnings I’m so glad that we can do that kind of thing collectively as a group and that it’s ok to sing along to a concert film that’s played LOUD. 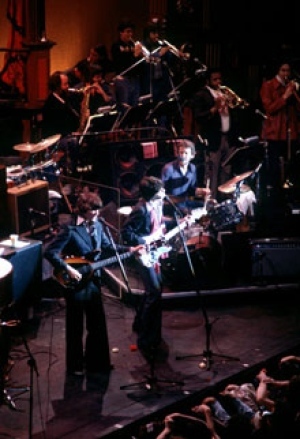 A little basic background on the band and The Last Waltz itself because after I typed the rest of this article, I noticed that there were barely any names in it. The Band was a Canadian-American musical group that started as The Hawks in 1964, but changed their name to The Band after touring with Bob Dylan in 1966 since they were always billed as Bob Dylan and the Band. After 16 years of touring on the road, they performed one last show at the Winterland Ballroom in San Francisco, California on November 25, 1976. 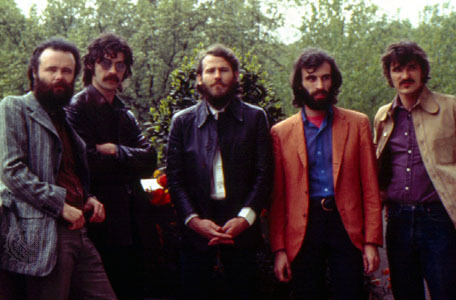 Members of the Band at the time were Rick Danko, Levon Helm, Garth Hudson, Richard Manuel, and Robbie Robertson. So, where else do I start with a review of The Band’s concert film The Last Waltz, but with my own exposure and discovery of the group. I came across The Band when one of my own favorite bands (Stephen Kellogg and the Sixers) started doing an A Capella cover of “Up On Cripple Creek” as a way to end their shows and give an experience to their fans that couldn’t be found off a CD, T-shirt, poster, or LIVE recording. 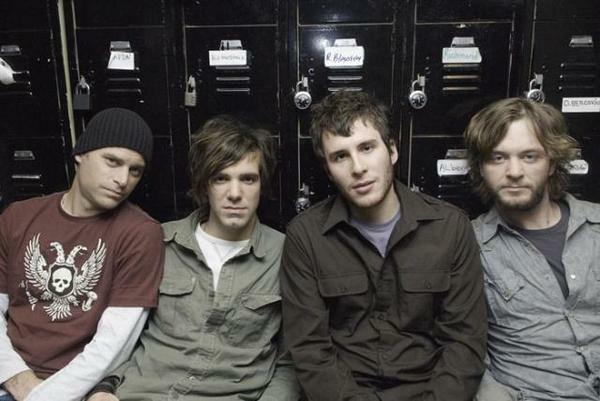 In 2005, Stephen Kellogg and the Sixers was comprised of Stephen Kellogg, Kit Carlson, Brian Factor, and Chris Soucy. Stephen and Kit met in high school and met Brian when they found out they needed a drummer for their little band. Chris was added to the group in 2004 shortly before the group’s major label release with Universal Music, after which they returned to self and independent released albums. After learning the ropes of not just playing their songs, but involving the audience from several tours with Matt Nathanson, the Sixers developed their own on-stage antics and when the time came that they had to opportunity to plan and perform a show for their first DVD, they modeled it after The Last Waltz. Filmed at the David Friend Recital Hall in Boston, MA (Massachusetts being thier home state) shortly after Thanksgiving on November 29, 2005, the Sixers recorded a show that they released as The First Waltz. Borrowing not only the concert/interview style of Scorsese, they ended up doing their own twist on guest performances by their touring friends, but even some of the staging of the interview segments (case in point, electric guitar player Chris Souse dead asleep in the back of the Sixer’s fan doing a road trip similarly posed like Richard Manuel as Manuel was explaining the the origin of “The Band”‘s ubiquitous name. Of course I had to track down the original, and it fit perfectly with my love of 70’s music. I was raised on James Taylor and oldies, so the 70’s have always been my favorite music decade and the place I’d want to relive my 20’s should I be forced to take a one-way trip back in time. So how about some tidbits about The Last Waltz that casual viewers might not notice? Well there’s the way that when Scorsese started his initial collaboration with The Band, in preparation for the show, he got together with their touring manager and production crew and picked their brains for who sang what parts, who played what solos on each of their songs, and then planned camera shots and spotlights on each of those parts for the film. As an ex Sound Guy and production buff it drives me nuts watching awards shows at how many missed mic cues or late camera shots take place on the most important broadcasts each year. Because of his research, Scorsese’s production crew only misses spotlighting a couple spontaneous events during the entire concert. Another thing that I found when researching for this review is how much more of an event this was. It was the farewell show of a group going out on top. It was a LIVE concert being taped and recorded by a movie director. It was a LIVE recording intended for release as an album that still continues to be re-released with recovered tracks and performances. It was a full blown Thanksgiving dinner. 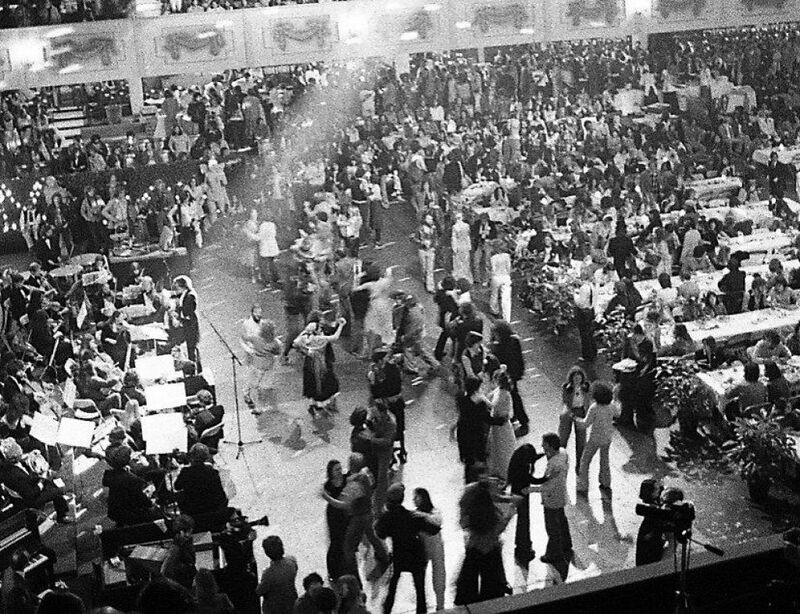 There was a portion of the show involving ballroom dancing (of which photos exist). It was a cross section of older artists who are no longer with us, fresh faces at the time that have become their own brand of superstar, and an inspiration to an entire generation of musicians and artists of today who take the time to mine their own music past and see the value in creating music because it’s fun to so with friends. 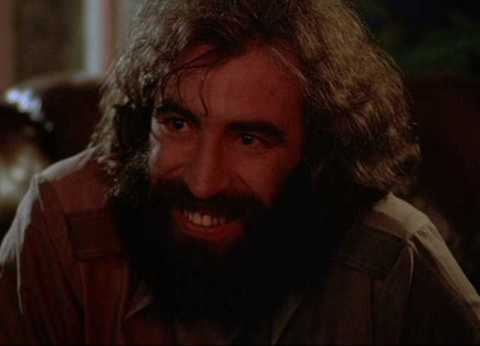 There’s the events that created it, namely when The Band’s drummer Richard Manuel had both a car accident and boating accident in 1976. He had been drinking and taking drugs more and more at the same time he started expressing dissatisfaction with having to babysit the other acts that came on tour with him. These events necessitated the group’s decision to stop being a touring band and become a studio band which is quite evident in one of the interview segments where band members emphatically discuss how much constant touring beats a person up. something left to come back to and discover. Which brings me back around to how easy The Last Waltz is to just enjoy. 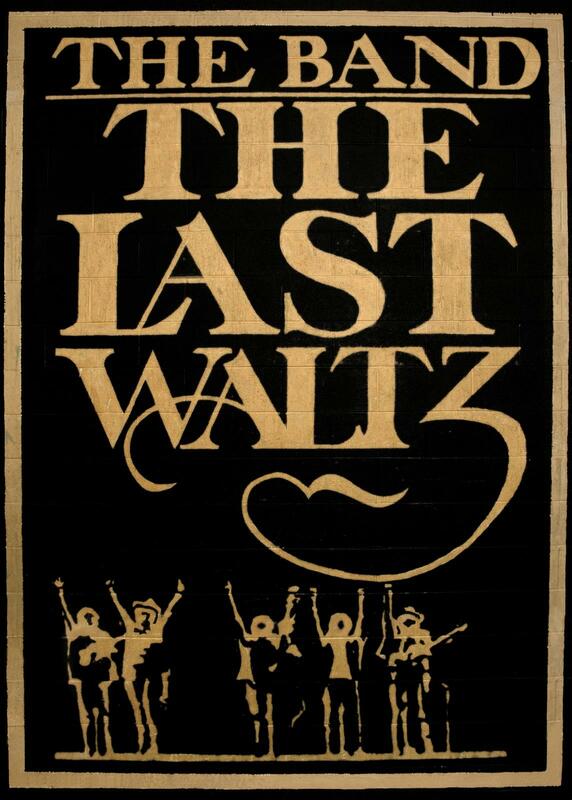 Over the years I keep coming back to The Last Waltz, pulling it out and absorbing the sound, tone, and enjoyment of not only the audience but the musicians themselves. In all the time’s I’ve seen it, it continues to surprise and interest me and seeing it on the big screen with a receptive and responsive audience was a treat. I’d never caught the waltz part of the title until this viewing, seeing the members of The Band, playing The Last Waltz Suite, with the shadows of their instruments dancing on the stage with them. It was everything a person could hope for in a concert film, feeling like you’re actually there, and wanting to be. Being reminded that ‘Bands’ both old and new played and continue to play with the same fervor and joy, just because they like to do it with friends. When he’s not driving to work, has his hands in his car and/or house, or is attending Film Club events as an #Awesome13, #Sweet16 alum, and #Terrific20, Benjamin can be found listening to podcasts and hoping to start his own one day. Reformed Trekker; self-identified Anglophile; and Anime fan by way of Akira, Ghibli, & Gundam. You can find him on the Film Club Facebook page asking for more ‘classics’ as well as right here planning his next meta review. And yes, I was the guy giving a nearly 40 year old event a standing ovation. Groundhog Day for Mr Tibbs. What’s it gonna take to catch a train? 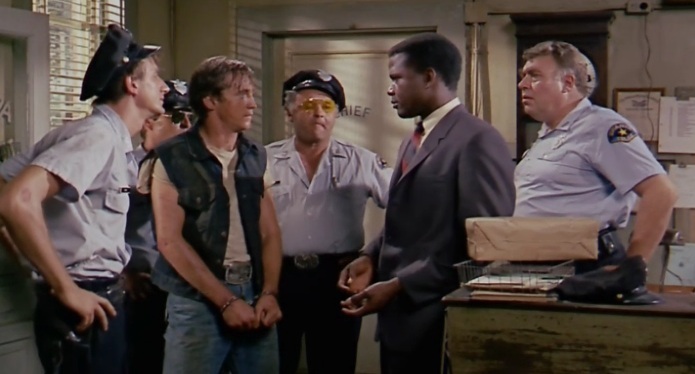 As a fan of the ‘classics’ part of Film Club’s mission statement of course I was interested in this month’s selection of ‘In the Heat of the Night’ even though I’ve never seen it nor even anything with Sidney Poitier. Perhaps it was the healthy representation of our guest hosts the Winchester branch of the NAACP and the Douglas Alumni Association, but we had quite a crowd for a great classic from 1967. Zatoichi to all, and to all a good fight. For this month’s review I thought that I would take a cue from Russ and tell you all about some favorite Japanese cinema of mine. Stuff that you can actually share with younger siblings, sons and daughters, nieces and nephews because that’s who this series was geared towards when it was made. While films like Samurai’s Revenge; Throne of Blood; Samurai I, II, and III; Rashomon; and The Seven Samurai are good primers and introduction to the world of Japanese Samurai cinema, they can be a little heavy in tone and to violent for younger children. Also some other titles of the genre can be too Americanized and not really communicate historical Japanese culture. Zatoichi of course was designed as a kids series so it has all of that. What’s this Joe? 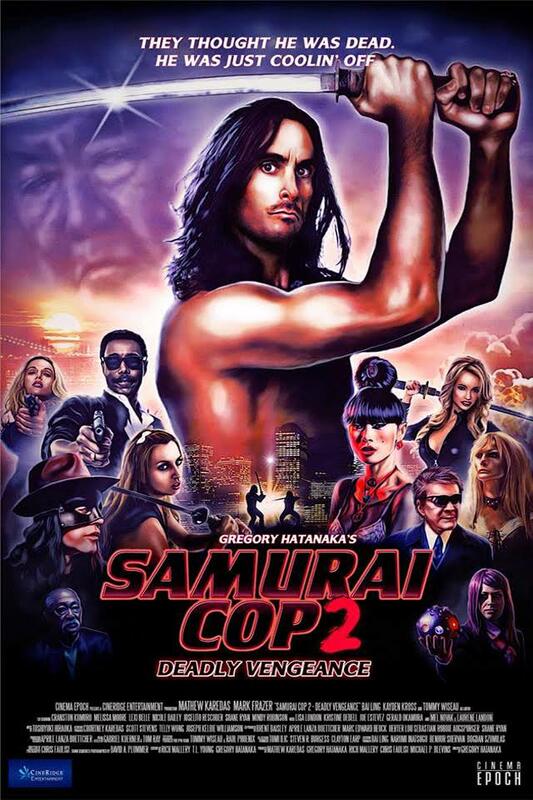 A ham-fisted review of Samurai Cop with Psycho Cinema? Bingo. 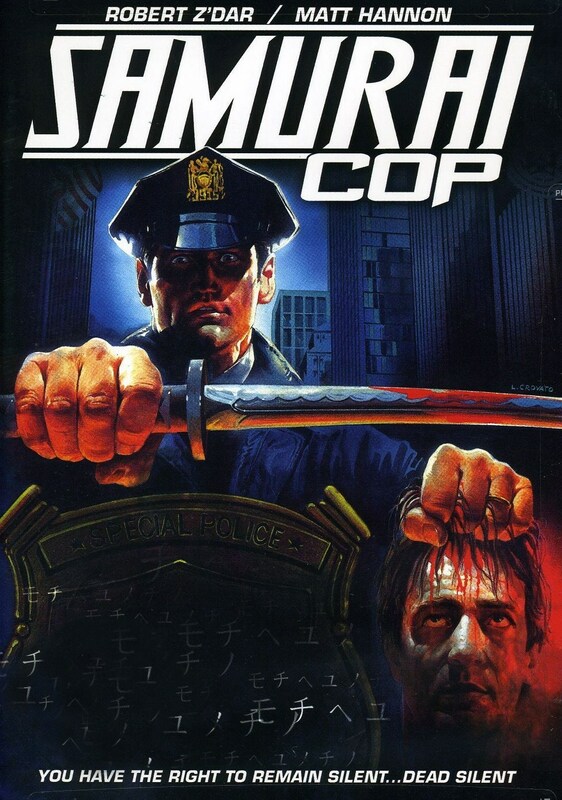 So, what can I say in a review of Samurai Cop & Samurai Cop: Deadly Vengeance other than to say that Psycho Cinema is a great group to see movies with. We were talking and laughing at opportune times, even thanking Faye for finding such a gem of a disaster. At least in this case, watching this double feature of schlock with fellow Psycho Cinema members is the only reason I made it to the credits, which is how I’m getting around to say that Samurai Cop is bad. 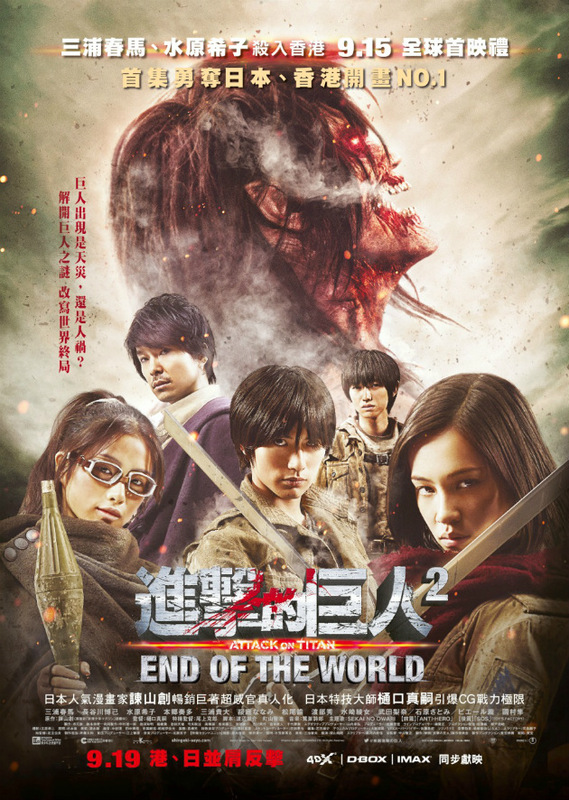 Attack on Titan Part 2, otherwise known as the second half.